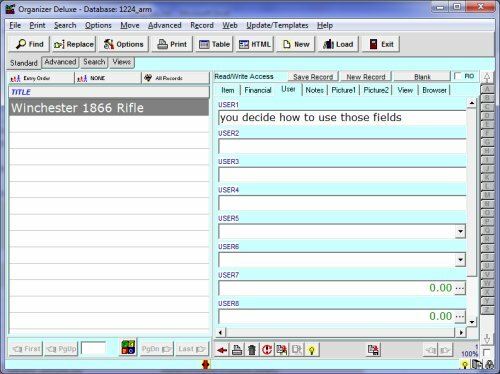 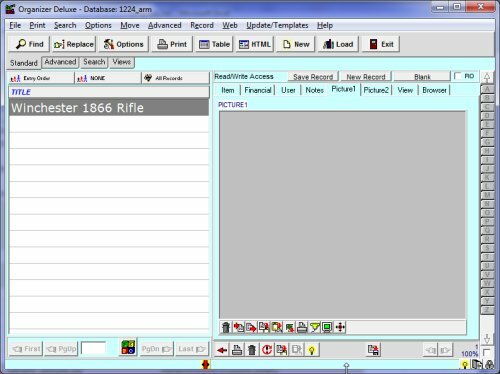 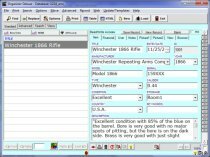 Free Arm, Gun Collector template for Organizer Deluxe and Organizer Pro users. 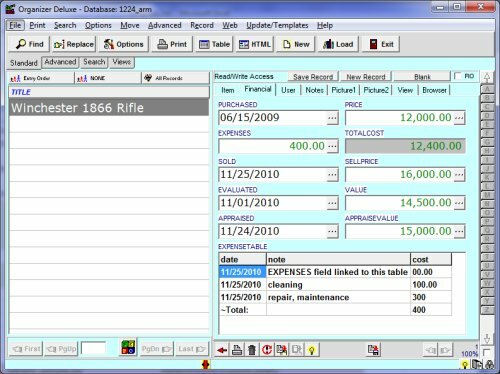 organize, catalogue, manage any information related to your collected items. 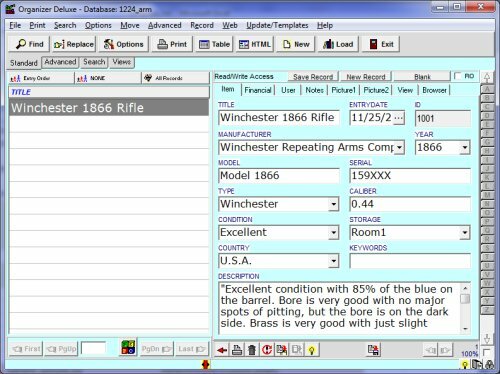 find quickly any information, who manufactured an item?, what is the value of your collection?, where do you store your items ?